Great Article from Johns Hopkins! Big Hospital Finally telling the truth about Cancer, Johns Hopkins. This article (found the link through Facebook) is not only interesting, but makes you stop and think about one’s diet and lifestyle. It only takes a quick minute to read-it just might help save a life. When you look up the word “amateur,” the dictionary gives you several definitions. Two of those read as: “a person inexperienced or unskilled in a particular activity;” “a person who admires something; devotee; fan.” I consider myself an “amateur” of many things in this world. Wine just so happens to be one of them. By calling myself an “amateur,” I am not putting on the table the notion that I know very little about wine. I am doing the opposite, in fact. Based on what I stated above, I may not be a professional in the world of wine, but I do know what I like and I still have much to learn. I wanted to start this post off with a definition for two reasons. The first reason being that I love words. In an age of texting, e-mailing or “tweeting,” the beauty of the English language is often lost. Perhaps this is why I often find myself flipping through a dictionary, just scrolling the pages and reading definitions. I know that sounds crazy, but I have always done this since I was a kid, and I want to be sure my children have a decent vocabulary. The second reason comes from an article I read in the latest Wine Spectator magazine. The article is by Matt Kramer, a contributor to Wine Spectator for over 30 years, and hits home about why being an “amateur” matters so much when it comes to wine. I have to digress for a brief moment. For anyone out there interested in learning about wine, or just interested in what wines to purchase, this magazine is great. My father (a true wine collector) loved Wine Spectator magazine; when I graduated from college and moved away, he paid for my first year’s subscription. Although I thought it was ludicrous at the time, today I am grateful for his judiciousness. This magazine is worth the yearly investment, and they also make for great coffee table reads. Now back to the topic at hand, which is Kramer’s article. It really hit home when I read his piece because I often find myself in conversations with friends or family about wine. The things I hear most often from people are “I don’t know a thing about wine,” or they feel inadequate because they only like a certain kind of wine, thus making them unqualified in having an opinion. My response, much like what Kramer is saying in his article, is you don’t have to know all the ins and outs of wine to have an opinion. All you need to know is WHAT you like to drink and WHY you like to drink it. One of the first things I often ask someone looking to me for a wine recommendation is what they like to taste when they pour a bottle. Is it fruit they want? Perhaps they enjoy a robust, earthy flavor. Or maybe they like a clean, crisp wine with hints of green apple or grapefruit. It isn’t the label or the cost that drives a person’s decision to buy a wine. It is the flavor that pleases their individual palate. Kramer makes a golden observation that supports my opinion: “The most worthwhile wine judgment continues to rest with talented amateurs. More than any credential-holder I’ve ever met, talented amateurs have always been–and still are–the best judges of wine.” He goes on to explain what he means by “talented amateurs,” those individuals who love wine, or have taken some consideration into what kind of wine to buy, collect, drink. Kramer feels it is this group of people who really hold the key to being a connoisseur. Not because they research wine based on profit or a gold-key standard. This group looks to buy wine they truly enjoy and want to share. If you drink a wine, you pick it because the bottle is pleasing to your palate. The aromas and flavors make you want to pour another glass or buy another bottle. 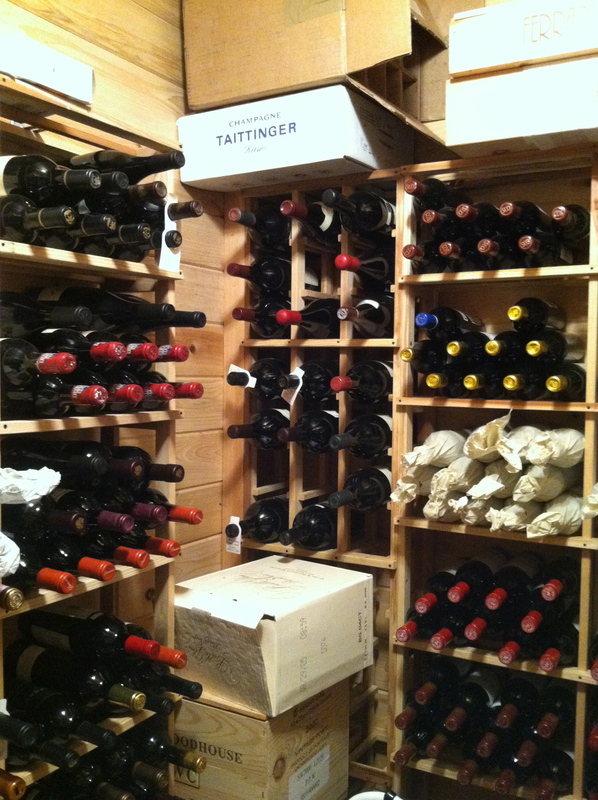 This is how most wine collectors start–simply by stumbling upon something they love. And as time marches on and tastes change, so can the preference of wine. When I first started drinking wine years ago I only liked sweet white wines. Despite having access to all the wonderful cabernet and Bordeaux wines in my father’s cellar, I still picked a sweet white (dad cringed every time I opened a bottle). 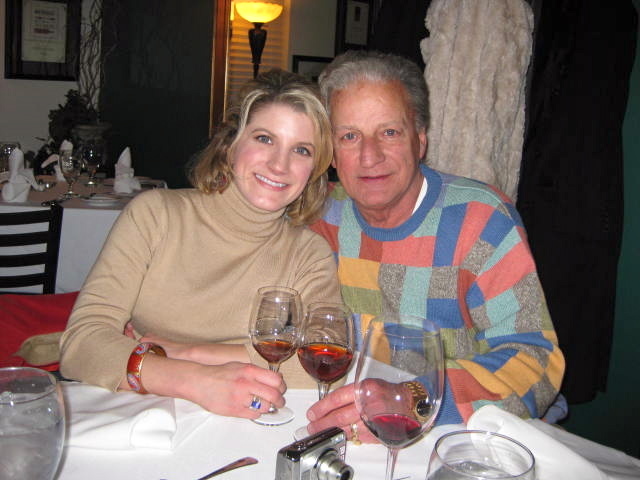 When dad asked me why I didn’t drink his wine I simply said it was because I didn’t prefer the taste. So he figured out how to change that–by gradually introducing me to whites that were less sweet, more dry. Then he moved on to light reds (pinot noirs from California) exposing me to fruity wine that had more body and complexity. I stayed in this area of wine for a long time until my tastes changed again and I fell in love with the heavier reds my dad often cherished. Gone are the days of sweet whites, unless I am drinking a delicious dessert wine or port. Now I choose the wine (white or red) based on my mood, the weather or what I am eating at the time. To me, wine falls in the same category as art. It is all relative to the person experiencing it. What some wine enthusiasts hail as superb might be terrible to someone else. And that is perfectly okay. Much like the odd piece of modern art, which sells for millions of dollars, wine can undergo the same scrutiny. This is just one of many reasons why I love the world of wine. You don’t have to hold a degree to have a valid opinion about wine. Just because you haven’t tried the crème-de-la-crème from a remote region of Bordeaux doesn’t mean your thoughts have little value. So to all of you “amateurs” out there sipping, swirling and sniffing your way through bottles of red, white or somewhere in between, I raise a glass to your opinions and welcome them with open arms.